The mission of Carnegie Mellon University includes the cultivation of a diverse community. All throughout our campus there are examples of this commitment though initiatives such as the recent creation of our Center for Student Diversity and Inclusion, among many others. With this responsibility in mind, our undergraduate admission process is shifting to focus more on diversity and inclusion of all populations by reducing or eliminating advantages that have been inherent in certain aspects of the admission process. The goal is to provide a more equitable, level playing field where all segments of our applicant population have the same opportunity in the admission process. 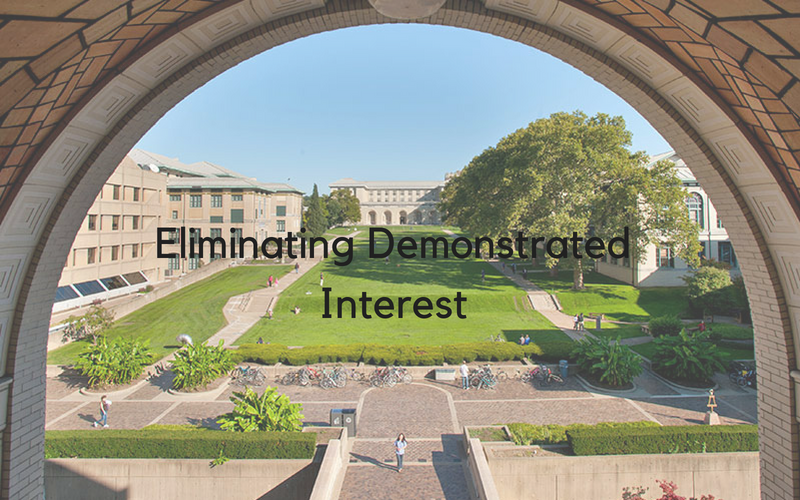 We’re eliminating demonstrated interest as a consideration in our admission paradigm. We’ll no longer encourage supplementary submission of materials, including resumes, research abstracts, writing samples, multimedia demonstrations of talents, and maker portfolios. Going forward, we’re no longer offering alumni interviews in advance of admission decisions and are refocusing alumni efforts to connect with admitted candidates instead. Our on-campus interviews are no longer evaluative, but rather are counseling sessions to help students align their interests with our programs. We’ve changed our long application essay to a series of short essays to better understand student context, unique talents and interests as well as special considerations which candidates would like to bring to our attention. Yet even with these impending changes, there’s more work needed on our part to achieve a more inclusive process. Issues surrounding standardized testing, for example, are complex in a research university like ours, and while we’ve lessened our SAT subject test requirements we’re hoping there is more we can do. All told, we’re working hard to change our process in a more inclusive direction.